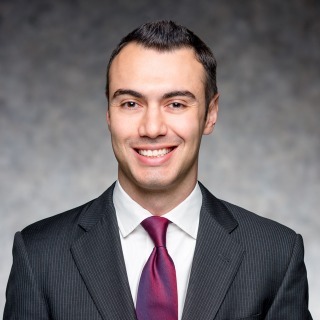 Donald J. D’Amico is an associate in Hughes Hubbard’s Media, Technology and Commercial Transactions Group. He provides strategic business counsel and corporate transactional support for clients in the technology, financial services, outsourcing, consumer retail, entertainment, health care, gaming and hospitality industries. Before joining Hughes Hubbard, Donald served as Legal Counsel at Davidson Kempner Capital Management LP, where he advised on a broad range of firm-wide strategic initiatives involving technology development and procurement, intellectual property licensing and monetization, complex data sourcing and analysis, and information security and privacy compliance. Donald played a key role in modernizing the firm’s approach to leveraging novel sources of intelligence, and led several cutting-edge sourcing and development transactions at the intersection of high finance, alternative data and next gen analytics. He also developed a proprietary approach to evaluating regulatory risks in alternative/big data sets and quantitative trading strategies, including the import of data privacy compliance with respect to insider trading laws and investment adviser regulations, data scraping methodologies, and other emerging methods of monetizing and gathering competitive business intelligence. Prior to joining Davidson Kempner Capital Management LP, Donald worked as a trading desk attorney advising clients and investors on M&A and other corporate activity. Technology. Technology-driven industries, outsourcing, software (mobile apps, SaaS, enterprise), cybersecurity, e-commerce, merchant, gateway and payment systems, cloud-based offerings and other emerging technologies, including hosting, service level, support, development, distribution, manufacturing, reseller and distribution arrangements. Data and Privacy. Privacy, data and information security matters, including domestic and international data collection, use, storage, processing, transfer and disclosure requirements, data analytics, internal and consumer facing privacy policies and legal and regulatory compliance review, including with respect to GDPR. Alternative Data and Business Intelligence. The collection, exchange and monetization of data and intelligence related to consumer credit, online and store-based consumer transactions, satellite imagery/weather, mobile app exhaust, walled gardens, IoT, flight records, mobile device data, geo-location, cellular tower activity, social media, census, political and governmental affairs, macroeconomic trends, and behavioral data. Outsourcing and Complex Services. Domestic and international outsourcing, professional and master service agreements for technology services, financial, accounting, assurance and advisory services, investment due diligence outsourcing, risk management, customer/client relationship management (CRM), product manufacturing and logistics. Licensing and Intellectual Property. Product, service and intellectual property (patent, copyright, trademark, trade secret, domain name, proprietary rights) licensing, leasing, distribution, administration, monetization, sales, escrow, co-ownership, royalty, commission, marketing, security, development, service and exploitation arrangements, including applications, filings, registrations, liens, releases and related due diligence, searches and compliance matters. Advertising and Promotions. Marketing, branding, advertising and promotional initiatives, including traditional and online sweepstakes and contest administration, including rules preparation, fulfillment, bonding and registration. TV, Film and Interactive Entertainment. Film, television, program, video game, animation, augmented reality, event and performance licensing, distribution, production, development, publishing, marketing and merchandising arrangements with cable networks, cable operators, distributors, programmers, MVPDs, wireless carriers, online platform operators and device manufacturers. Corporate and Strategic Alliances. Strategic alliances, security and credit agreements, co-branding and collaboration agreements, real property/leasing transactions, employment and independent contractor agreements and other corporate arrangements.